Let me tell you about an easy swap I have made in our household lately. I feature other posts about these little exchanges you may want to make for better health often, but this one couldn’t be easier and is with a simple shake. The topic of salt isn’t the first it has made an appearance on the blog. I write about taking a bath in salt here and other uses for Epsom salt here, but, the salt that I am referring to here now is the salt you season with, the salt you may add to your food, the salt to bring your dishes alive. Here is why I made the simple switch from white, regular table salt to Himalayan, pink salt and why you may want to as well! Salt plays a role in our circulatory system to regulate our blood pressure and our heartbeat as well as help clear the lungs of mucus. Our nervous system needs salt as it plays a role in our nerve cells’ communication and information processing. The absorption of food in our intestines in our digestive system is helped along with the salt we consume. Our muscular system benefits from salt as it helps prevent muscle cramps. 1. Commercial refined salt is stripped of most of its minerals. It is difficult to get all the minerals we need to run well each day. The refining process of regular salt only makes it that much harder. The refined salt only leaves sodium and chloride. 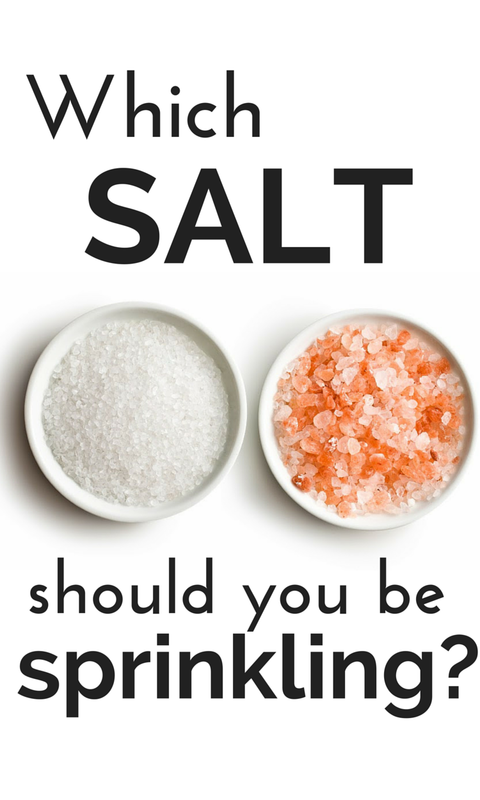 Further, the mineral iodine typically added to processed salt is usually synthetic, which may be difficult for your body to process properly. 2. The white salt is white for a reason. Bleach. Yes, this salt is chemically cleaned, bleached and heated at unnecessarily high temperatures. I wrote more about the cons of bleach here. 3. White, processed salt is not just salt. Other agents are added like anti-caking agents to prevent salt from mixing with water in the salt container. These agents also prevent dissolving within our body too which may lead to build-up and the depositing in places we do not want – organs and tissues. Another additive is aluminum silicate to keep maintain a powdery texture. Aluminum is toxic and shown as a potential cause of Alzheimer’s disease. 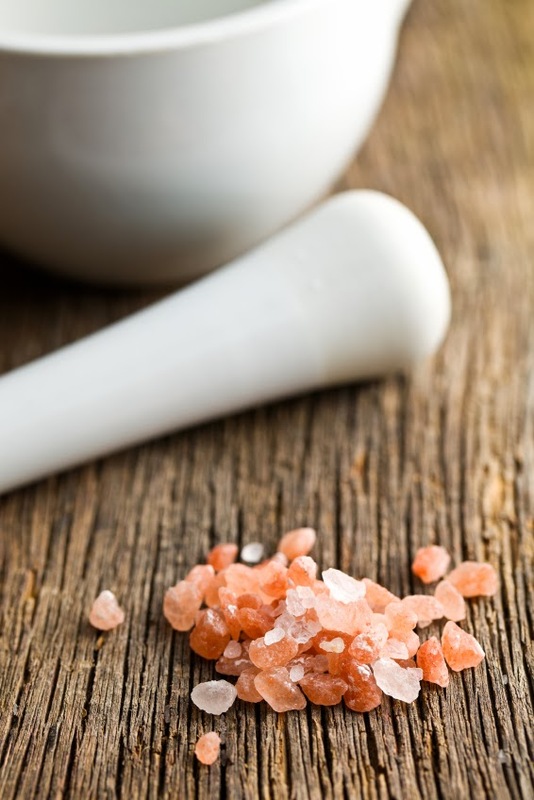 Himalayan pink salt is a pure, hand-mined salt found within the Himalayan Mountains. Unlike white table salt, it is unrefined, never bleached, contains no additives and should not be contaminated with any toxins or pollutants. Crystallized over 250 million years ago, the sea beds were covered by lava, protecting the salt from modern-day pollution, The many hues of pink, red and white are an indication of this salt’s varying mineral and iron content. Another unrefined pink salt that I use can be found in in the United States in Utah. It originates from an ancient sea in Utah and claims to contain 62 minerals and is without additives, chemicals, or heat processing. And the flavor is another benefit. I find it to be delicate and use it just like I used to use regular table salt. There is no harsh or bitter taste and some say even a bit sweet. Everyone at our house really prefers it. Many people believe sea salt is a healthy alternative to table salt, and it is indeed better if is the unrefined version. However, with the high pollution rates of our oceans, it could contain mercury, PCBs and dioxin. (Click on those green links for more information on those.) Reports of oil spills polluting the sea are becoming more frequent as well, unfortunately. So, as with anything we consume, we must consider the source and do the best we can to find its origins. What about you? Have you made the switch to the pretty pink salt yet? Thanks, Bradleigh, for linking up to the information here and spreading the healthy word! I checked out your post on popcorn (a favorite snack of mine!) and am happy to share it on social media for you! Thanks for reading and coming by. What about the iodine our bodies need. Where else would you get that? Don't need or want a goiter! Great question! White, table salt does has been stripped of it minerals but iodine is put back in white table salt because of goiter concerns. 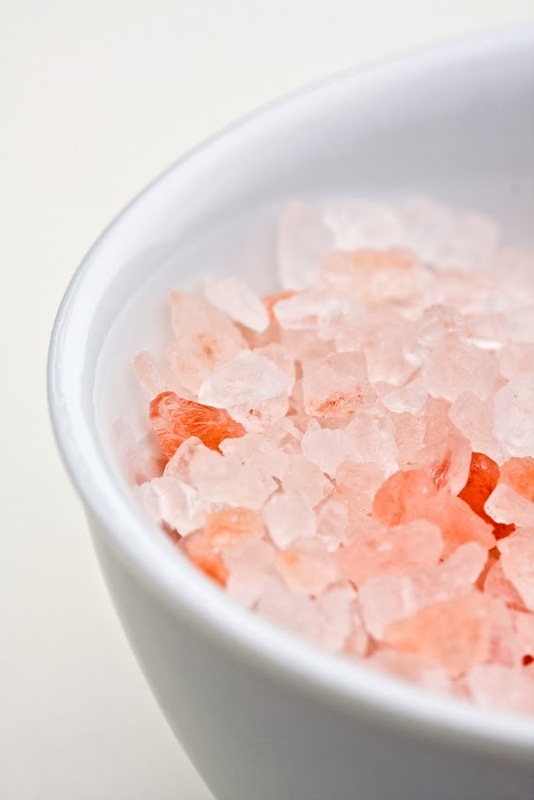 Conversely, pink salt has not been stripped of its minerals and contains iodine in the mix as well. Talk to your doctor though to find other iodine rich foods, too, to add to your diet if needed. Thanks for taking the time to comment, Marilyn.